Ambassador Solano Quirós discussed a wide range of topics at the interview interesting to Korea and Costa Rica, which included: The most important policies of Costa Rica, major areas of bilateral cooperation in the New Year, competitive products and services of Costa Rica attractive to Korea, areas where Korean companies are wanted for investment, Korean Honorary Consul for Costa Rica, head of the bilateral friendship organization, the most prominent Koreans who made the largest contribution to the bilateral cooperation, attractive tourist destinations of Costa Rica to Korean tourists, introduction of the President of Costa Rica, introduction of the Ambassador and family, and introduction of the Ambassador. Answer: According to the Ministry of Foreign trade, the current trade volume between the Republic of Costa Rica and the Republic of Korea reached approximately $262 million US dollars (2017), with an annual increase of 4.9%. The expectation of the trade volume will increase in 2019 and beyond as the Republic of Costa Rica is currently awaiting the formal ratification of the Free Trade Agreement with the Republic of Korea, since its signage between both parties in February of 2018. The expansion of trade possibilities and cooperation will no doubt increase many fold once the aforementioned agreement has been ratified by the corresponding authorities. Currently, cooperation efforts in many areas, as a result of the expectation of the Free Trade Agreement, have already begun between the corresponding counterparts in both countries, in an effort to ease and increase commercial, economic, investment exchange in the coming months. The future ratification of the FTA will also allow for the further strengthening of the Agreement on Reciprocal Promotion and Protection on Investment. The Chamber of Commerce of Costa Rica has placed high importance in the FTA with the Republic of Korea, as the markets between our two regions are complementary. Costa Rica, as a nation, exports to the Asian Region, products such as coffee, pork, tropical fruits and its derivatives, sugar, chocolates, all of which will increase with the ratification of the FTA. Korea, on the other hand, exports largely industrial products (mainly vehicles and electronics). A: Costa Rica is recognized for its historical, strong and solid democratic tradition, and the promotion of human rights. That is why the promotion of these universal values is fundamental pillars of our foreign policy. As a reference to its democratic tradition, in the latest study conducted by The Economist Intelligence Unit, Costa Rica ranked in the top tier of full democracies around the globe. Costa Rica, abolished its army 70 years ago, and this new Presidential Administration has placed efforts in establishing new objectives for the next 70 years. Our democracy has rendered it as a progressive nation, having under its work force more teachers than policemen, more biological reserves than cities and an endless dedication to social programs and development. With the establishment of free tax subsidized education as a constitutional right, since 1869, the elimination of the death penalty in 1882, and the abolishment of the army in 1948, and free press, it's clear the social development and order are key to Costa Rica’s approach to being a full and stable democracy. Known for its green practices, Costa Rica is gearing towards becoming a carbon free nation, through what is termed the National Decarbonization Plan. For the coming years, Costa Rica will continue to be a leader in implement green practices using green technology and renewable energy as a standard for the next generation. A: As a result of the Comprehensive Cooperation Partnership agreed upon in 2016 between our two nations, the exchange of visits between high ranking officials to our respective countries has increased in recent times. In addition, the Republic of Costa Rica’s geopolitical strategy to expand its relations with Asia Pacific, taking account Korea as a strategic partner, will undoubtedly result in a higher volume of cooperation in the areas such as science, technology and innovation, education, sustainable development, infrastructure, culture, sports and tourism, local governments, etc, between our two nations. Last year we elected a new President, and we received various high level visits from authorities of the new Presidential Administration, highlighted by the First Lady of the Republic of Costa Rica, Mrs. Claudia Dobles Camargo and the Vice Minister of Foreign Affairs and Worship, Mrs. Lorena Aguilar Revelo, during which discussions were held on various topics of mutual interest. During the visit of the First Lady of the Republic of Costa Rica, initiatives regarding sustainable development, urban mobility, clean energy solutions, urban development and waste management were main topics of discussion. Costa Rica also has important milestones to celebrate in the coming years. In 2021 we will celebrate 200 years of Independence and in 2022 we are going to celebrate 60 years of establishment of the diplomatic relations with Korea. Sixty years is a very important celebration in Korea, as Korean people say, it is one life cycle. It is an important milestone for our bilateral relations and we hope that in the next years we will have plenty of opportunities for our countries to become even closer. Also worthy of mention for the 2018 year were the visits conducted by the Minister of Minister of Science, Technology and Telecommunications of the Republic of Costa Rica, Mr. Luis Adrián Salazar and Mr. Tomás Martínez Baldares, President of the National Institute of Housing and Urbanism, whereby many discussions were held in the exploration of new initiatives concerning connectivity, urban development, housing, urban transport and mobility, smart cities, 4th Industrial Revolution, support for SMEs, as well as other areas of mutual interest. A: In recent times, dating back to a couple of decades, the Republic of Costa Rica has strategized its exports, focusing its efforts on the diversification of its export products. Costa Rica has gone from a country that primarily exports 4 agricultural products to over 4,500 products up to date, to a network of over 100 countries worldwide using a platform of over 52 FTAs. Costa Rica now exports electrical components, biomedical devices, and specialty coffee, organic and certified agricultural produce, among others. Of interest in Seoul, a Foreign Trade Promotion Office was instituted, in order to promote the exchange of commerce in the near future. Well Known Korean companies have already used the opportunities of the Costa Rica’s FTAs platform with other countries to export their goods to the US, Europe, Latin America and other regions. Many more Korean companies are currently in the process of studying the possibility of entering the Costa Rican market, acknowledging its great potential as a geographical hub while also offering many natural resources and human capital to expand their own business in the region. There is still an untapped potential in the regional market, and specifically so in Costa Rica. 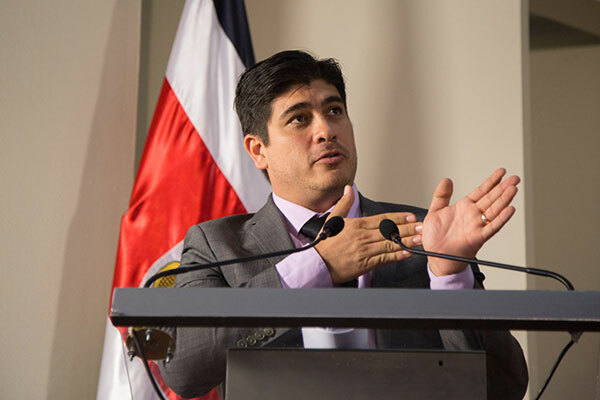 As we enter the 2019 year, and according to a recent report conducted and released by the Economic Commission for Latin America and the Caribbean (ECLAC), Costa Rica has reached a high economic performance for the 2018 calendar year, an achievement that is due to a successful 40 year export promotion strategy combined with joint efforts between the public and private sectors. The report has shown that Costa Rica has diversified its economy while exporting over 4390 different products to more than 150 nations worldwide, representing more than 2400 export national companies, while also generating 680000 in direct employment. These export indices correlate to an equivalent of 34% of its GDP and for the 2018 calendar year the growth rate represented a near 7%. 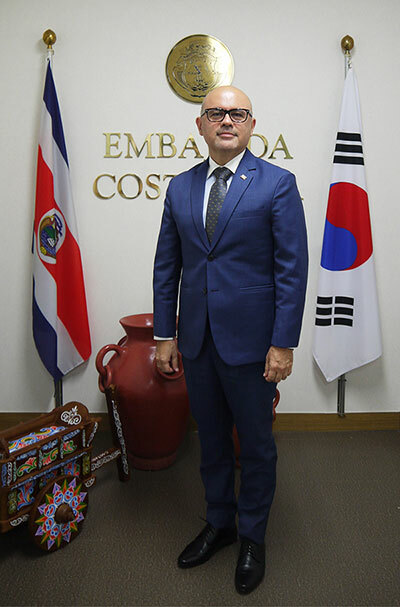 Costa Rica is one of the leading nations in the Latin American Region in economic indices and paired with the celebration of Korea´s decision to enter CABEI as well as the Free Trade Agreement, the economic outlook 2019 projects to be a positive step towards further strengthening commerce, trade and investment between the two nations. A: There is a wide array of investment possibilities in Costa Rica as its geographic location and its bountiful natural resources complemented by a stable democracy allows it to be at the forefront of investment destinations for foreign companies in Latin America. In recent times, there has been a high interest in Costa Rica’s biomedical and aerospace sectors, where Costa Rica boasts of high-quality human resource and capacity. Sustainable development and eco-tourism is also a strong sector for future investors as Costa Rica has been looking to becoming greener and energy efficient, as evidenced by its 250-plus days of continuous usage in renewable energy. Costa Rican businesses look forward to partnering with Korean businesses in an effort to expand a wider market, where the natural resources that Costa Rica can offer would be a perfect match with Korea’s outstanding technological advances. A: The Honorary Consul for the Republic of Costa Rica is Mr. Kwon Soon Han Chairman de Soyee Product Inc. He has been an integral part of the promotion of the relations between Costa Rica and Korea. As an ad honorem official, he is effectively an agent that seeks to promote the cultural arts and principal values of the people of the Republic of Costa Rica, supporting cultural-artistic events (art exhibitions, film galas, conferences, symposiums, etc.) as well as other matters including the promotion of relations with institutions and organizations of the Republic of Korea in many areas of interest to Costa Rica. 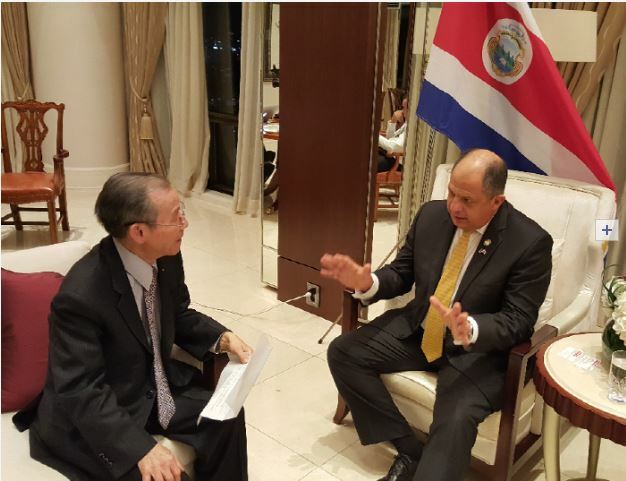 A: Former Ambassador Shin Soong-chull and current President of the Korea Latin America Council (KLAC) has been a dear friend to Costa Rica since his appointment as Ambassador to the Republic of Costa Rica in 2001. Since his return to Korea, Ambassador Shin has forged important bridges and countless opportunities for cooperation between our two nations. Through the Korea Latin America Council (KLAC), Ambassador Shin has extended countless opportunities for representatives from both of our regions to review current and future policies to discuss in an open space the collective responsibility in creating solutions for different challenges that our nations face with the vision of bringing stability and continuous progress to its people. It is through his endearment and friendship that we currently enjoy great standing relations between the institutions that we both represent. A: Costa Rica is considered a top sustainable tourism destination and has won international recognition for its environmental conservation policies and long-standing efforts. By law, National Parks and Reserves cover, at present, 25.6% of our land area. These areas include islands and beaches with a bountiful marine life, rain forests and dry, active volcanoes, hot springs, caves, river canyons and waterfalls. Further, 52.4% of our land is currently covered by forest, creating an ideal scenario for ecological tourism. Costa Rica has furthered developed itself into a medical and wellness tourism hub, recognized for its state-of-the art medical technology, highly qualified medical professionals and 29 internationally accredited hospitals. The strategic location and economic and political stability of Costa Rica has furthered contribute to its growing reputation as a global medical tourism destination. Costa Rica was awarded the Best International Adventure Travel Award during the International Tourism Fair (FITUR) 2017 and continues to be internationally recognized among the top best adventure destinations in the world. Destinations spots include: Monteverde Cloud Forest, Arenal Volcano, Manuel Antonio National Park, Corcovado National Park, Coffee Plantations, Tortuguero National Park, Cahuita National Park, Irazu Volcano, Poas Volcano, National Theatre. It is important to mention that as of July of 2017, Aero México announced direct flights from Seoul to Mexico City, becoming yet another feasible flight route and connection to Costa Rica, with more than a dozen option of connecting flights to Costa Rica. In April of 2019, Aero México also intends to add to this connectivity to our second main airport hub, Libera, Guanacaste, effectively attracting customers with more flight options to our tourist destinations. Currently there are many tourist packages offered by Korean Tourism Agencies (HanaTours, CoCo Tours, etc) highlighting multidestination locations including Costa Rica. A: Carlos Alvarado Quesada is a Costa Rican politician and writer, who is currently serving as the 48th President of Costa Rica, took oath on May 8th 2018. Alvarado was previously Minister of Labor and Social Security. The second of three children in a middle class family, Alvarado grew up in Costa Rica and would eventually go on to study at the University of Costa Rica (UCR). Initially, he majored in journalism but eventually switched to political science. Alvarado graduated and was awarded a scholarship to study development studies at the University of Sussex, England. Carlos Alvarado Quesada is also an accomplished writer, having published in 2006, the anthology of stories Transcripciones Infieles for which he obtained the Young Creation Award in 2012. He also published the historical novel Las Posesiones. A: I have been serving as Ambassador of Costa Rica in the Republic of Korea since 15TH January 2016. I also serve as non-resident Ambassador of Costa Rica to Brunei Darussalam and to Malaysia. Prior positions include: Advisor to the Office of the Minister of Foreign Affairs and Worship (2014-2015), Minister Counselor of Costa Rica in Japan (2010-2013). Minister Counselor of Costa Rica in the Republic of Korea (2002-2010). Graduated in Business Administration from University of Costa Rica, I hold a degree in History from the University of North Florida, and a Masters in International Economic Relations and Foreign Trade, with a specialty in Asia Pacific Studies, from the University Latina Laureate International.